Still trying to work this out. 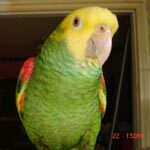 There are feral populations of parrots in several European nations, so I am thinking that we also need to figure on the parrot type as well as shortest day and shortest night. Senegals are from western Africa in a savanna to woodland type of habitat that I believe is also tropical. I know that Senegal parrots require a minimum of 10 hours of sleep per night. The most important aspect of the solar lighting for birds appears to be the exposure to the two twilight periods that occur at dawn and again at dusk. The bird does not have to be awake to benefit from exposure to these periods So they could sleep through the twilight period at dawn and wake up later in the morning as long as their body is exposed to this period. So to my thinking Brussels is just about as far north as I would try to use a natural solar light schedule with any tropical bird. And could be pushing it too far, but the responses of the bird will be what lets us know this. Wolf said"The bird does not have to be awake to benefit from exposure to these periods So they could sleep through the twilight period at dawn and wake up later in the morning as long as their body is exposed to this period." If this works whether the bird is awake or asleep, then maybe it will work in the northern latitudes as long as the bird is given the sufficient hours of quiet and peace needed. Experiencing a dusk and dawn in each 24 hour period no matter how close together may suffice. After writing this, I went back to check dates and realize that this was posted over a year ago now. So I will leave it as is and ask if any more research has been done or if the person that made the original post found a solution. Sorry guys, I read alot of the threads on here and forget some of them are old. Useful still. I was also wondering about the time change for winter. It has been getting light at 7:30 and dark at 6 pm. Two give them dawn and dusk it does not leave much time for the lights. I have been feeding at 9 am and 5 pm. Rainbow is hormonal right now. I have noticed that when she is her nostrils will become red and they are just plane when she is not. I have also noticed it on the Cockatiels and Myrtle. Rmoses wrote: Wolf said"The bird does not have to be awake to benefit from exposure to these periods So they could sleep through the twilight period at dawn and wake up later in the morning as long as their body is exposed to this period." If this works whether the bird is awake or asleep, then maybe it will work in the northern latitudes as long as the bird is given the sufficient hours of quiet and peace needed. Experiencing a dusk and dawn in each 24 hour period no matter how close together may suffice. After writing this, I went back to check dates and realize that this was posted over a year ago now. So I will leave it as is and ask if any more research has been done or if the person that made the original post found a solution. Sorry guys, I read alot of the threads on here and forget some of them are old. Useful still. No, it doesn't work in places like Finland, Sweden, etc because it's the number of hours between the periods that sets the circannual cycle and there, your shortest day is only 6 hours long.